Tensions have been mounting in India. Nationalists there had hoped that the country’s contribution to the British war effort would lead to it being granted self-government similar to that of South Africa, Canada, Australia and New Zealand. However it has become apparent that the British have no intention of loosening their hold on the country. Indeed, they have maintained and strengthened wartime emergency measures restricting press freedom and political activity. Gandhi, the nationalists’ leader, has called for strikes and civil disobedience against the colonial authorities. He has urged his followers to avoid all forms of violence against the British. The authorities have responded by arresting Gandhi and attempting to clamp down on nationalist activity, but this has led only to further unrest. The Punjab province is especially tense. The city of Amritsar has already seen rioting, in which a number of Britons and Indians were killed (and in one shocking incident, a female British missionary beaten and stripped before being rescued by Indians). The British determine to restore order in Amritsar. Michael O’Dwyer, the lieutenant governor of the Punjab, sends Brigadier-General Reginald Dyer to bring the natives to heel. Indians are forced to crawl along the street where the missionary was assaulted while policemen are given carte blanche to flog anyone they take a dislike to. Today Dyer bans unauthorised persons from entering or leaving Amritsar. He also issues a proclamation banning all gatherings in the city of more than three people. And then he hears of a large gathering taking place in Jallianwala Bagh, a public square. Some of those present are taking part in a political rally, others are relaxing after religious ceremonies at the nearby Golden Temple. Dyer decides to teach those gathered at Jallianwala Bagh a lesson. He leads 90 soldiers to the square and orders them to open fire, without issuing a warning or an order to disperse. The result is carnage, with the soldiers firing continuously for about ten minutes, Dyer himself directing fire to the densest sections of the crowd. The bloodbath only comes to a halt when Dyer’s men have run out of ammunition, at which point they leave. At least 379 people are killed by Dyer’s men, including an infant, and 1,137 wounded. Revolution is on the march. In Berlin Ebert‘s government has suppressed two uprisings by the Spartacists, but since then a Bolshevik-allied government has taken power in Hungary. And now news of a further revolutionary advance arrives: the declaration of a Soviet Republic in Bavaria. Following the assassination of the Bavarian republic’s first premier, Kurt Eisner, the German state has seen an upsurge of revolutionary activity. With the declaration of the Soviet Republic, the parliamentary government of Johannes Hoffmann flees Munich, leaving the capital in the hands of the radicals. The Soviet leaders of Bavaria are drawn from the ranks of the Independent Social Democrats (the USPD, a far left splinter from the mainstream Social Democrats) as well as Bavaria’s anarchists; their leader is Ernst Toller, formerly a playwright. The Soviet government announces a programme of ambitious reforms (some might say ambitious and unrealistic reforms), as well as declaring a dictatorship of the proletariat against counter-revolutionary elements. Perhaps the dominos are now falling and in a matter of weeks or months all of Europe will be under Soviet control. For some this is a nightmare, to others their earnest hope. As you’ve probably noticed, this blog has fallen a bit behind and is a few weeks behind events from a hundred years ago. I project that I will catch up with by late April or early May and then will be on track until the conclusion in June. I am breaking sequence now to mention a terrible event that happened a hundred years ago today, the Jallianwala Bagh massacre in Amritsar, India. India at the time was experiencing an upsurge in nationalist agitation, with Indians hoping to secure the kind of self-governing status that the white dominions of the British Empire had already achieved. Some disturbances had occurred in Amritsar and Colonel Reginald Dyer decided on extreme measures to restore order. On the morning of the 13th Dyer proclaimed a ban on all public meetings in the city. In the afternoon crowds were gathering in the Jallianwala Bagh square in central Amritsar, a mixture of religious pilgrims and people attending a political rally. Dyer brought a squad of troops to the square and without issuing a warning ordered his men to open fire. They fired continuously for around ten minutes, halting only when their supply of ammunition was almost exhausted. A subsequent official inquiry counted 379 deaths, including a six week old baby, but the actual number may have been around a thousand, with many more injured. Dyer was never prosecuted for his actions, partly because he was acting with the broad support of his superiors (in particular Michael O’Dwyer, Lieutenant-Governor of the Punjab). The revulsion generated by his action blighted his career but supporters in Britain raised a considerable sum of money for him that must have allowed him to retire in some comfort. Dyer died in 1927. 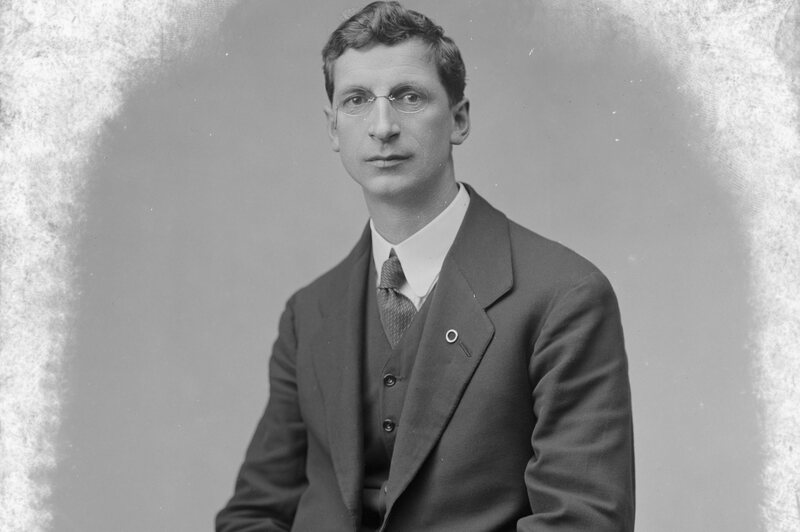 O’Dwyer was assassinated in London by an Indian nationalist in 1940. It does seem that lately a certain imperial nostalgia has gripped sections of the British population. If you encounter someone waxing lyrical about Britain’s civilising mission in India, remind them of the Amritsar massacre. It is not even the worst thing the British did in India. Mihály Károlyi became prime minister of Hungary in the nationalist revolution that saw the country break free of the Habsburg Empire late last year. The early promise of that revolution has however failed to materialise, with Károlyi struggling in the face of Hungary’s myriad problems. National minorities have succeeded in detaching large swathes of territory from the country, with the support of the Allies, who appear to see Hungary as a defeated enemy rather than a newly liberated friend. Further trouble is emerging on the frontier with the Romanians, who are keen to annex Transylvania. The Allies again appear to be taking the Romanians’ side, putting intolerable strain on Károlyi’s government. Károlyi’s government is also threatened from within. Conservative elements in the country resent both its forced concessions to the Allies and its attempts at progressive reforms. 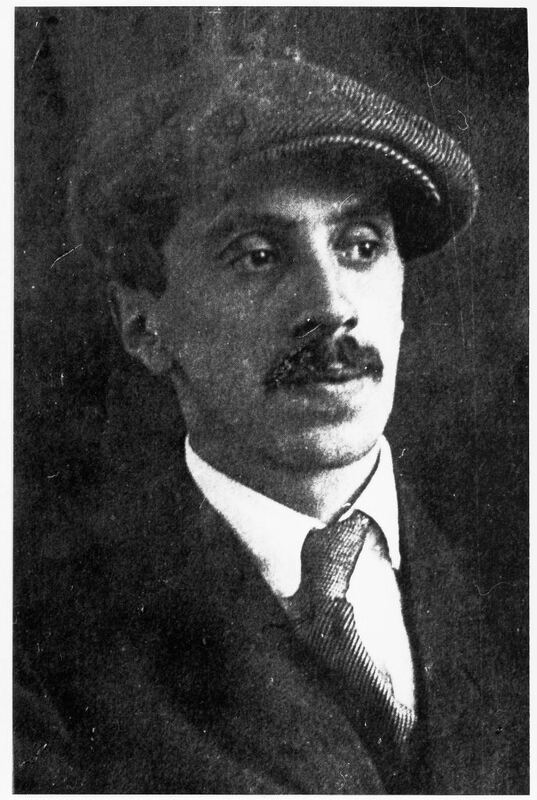 Communists, led by Béla Kun, want to replace Károlyi’s government with one modelled on Soviet Russia. Béla Kun and other leading Communists have been under arrest since disturbances in February. Now however they experience a spectacular reversal of fortune. Károlyi’s government collapses over its inability to deal with the Romanians. Béla Kun is released from jail and invited to head a government in coalition with the Social Democrats. 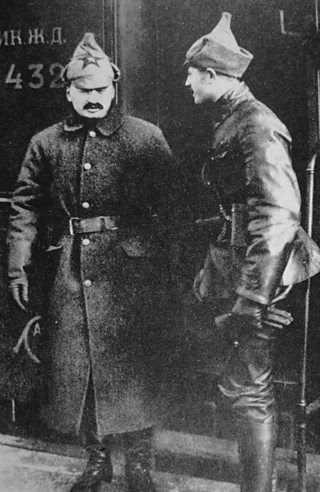 Kun quickly moves to sideline his more moderate allies and today he proclaims Hungary to be a Soviet Republic and calls for revolutionaries in Bavaria and Austria to follow his example. As news of Béla Kun’s revolution spreads it causes a sensation. Now there is a second communist-ruled country in the world. Bolshevism is no longer being contained in Russia and may be about to sweep across Europe and the world. Counter-revolutionary forces continue to pose a threat to Soviet Russia, but the Red Army has been enjoying considerable success against its enemies. Much of this is down to Trotsky‘s recruitment of former Tsarist officers, whose efforts have given the Red Army a much-needed professionalism. This policy has however led to considerable disquiet within the Communist Party. The opponents of Trotsky’s policy, a loose group known as the “military opposition”, fear that the Red Army is in danger of itself becoming a counter-revolutionary organ, led by reactionary officers and with a rank and file made up of conscripted peasants who are not true believers in socialism. Tensions boil over at the Communist Party congress now taking place, with the military opposition arguing that the Red Army needs to be brought under party control. Lenin appeals for party unity and Trotsky is obliged to compromise. Officer training for party members is stepped up so that they will eventually be able to move into Red Army leadership positions. More crucially though is the appointment of political commissars to all units, to keep an eye on the officer corps and prevent them from deserting to the Whites or acting in a counter-revolutionary manner. This is not a role for the faint-hearted, with Trotsky stating that the commissars will be personally responsible for the performance of units they are attached to. But the commissars’ appointment makes clear that the Communist Party is asserting its control over the Red Army. Egypt is in uproar over Britain’s heavy-handed response to a request by Saad Zaghloul and other nationalist leaders to attend the Paris Conference (the nationalists have been arrested and deported to Malta). 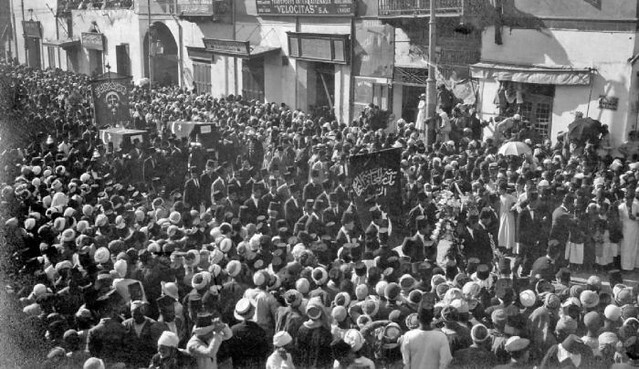 Safia Zaghloul and other wives of the exiled nationalists have led women’s demonstrations calling for their husbands’ release while the country generally has been engulfed by strikes and increasingly raucous demonstrations. The British and their local allies have attempted to maintain order forcibly but discontent is becoming more heated, with violent attacks on the British and sabotage of railway tracks and telegraph lines. Today in an incident that particularly shocks the British, eight British soldiers are killed by a mob in Deirut. The country appears to be slipping out of control and no amount of repression by the authorities seems able to bring the Egyptians to heel. In London, British officials now begin to wonder if a change of tack is required: perhaps the Egyptian nationalists need to be conciliated rather than crushed.